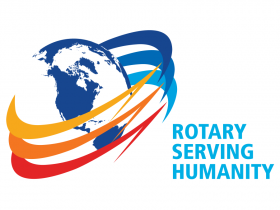 What Are Our Rotary Objectives? Membership! Membership! Membership! We talk continually talk about improving our membership. But do we pay enough attention to the reasons that folks might want to join our Rotary clubs? Yes, there are the usual reasons we talk about such as networking, fellowship, leadership, community service, international development and many others.They are certainly legitimate reasons for joining. But are they sufficient? Will they attract the people we want in Rotary? Are we really generating the magnetism required to attract folks to Rotary? Many of our clubs are involved in activities highly regarded by our communities. But are they the type of efforts for which our current members feel satisfaction and the new generation will be attracted? We have a finite amount of time to devote to worthy causes - and we become more selective as we age. We want to spend our time on projects that truly benefit our communities and provide deep personal satisfaction. It is interesting to note this was recognized in the early days of Rotary by Paul Harris. While networking and fellowship were the primary reasons for starting Rotary, he recognized that community service was the banner cause to attract more people to the effort. Buying a horse for a farmer to replace one that died, providing a warm set of clothes for a newsboy and helping Chicago install public restroom facilities are three of the first projects that Rotary undertook. These are the kind of efforts that inspire people to devote their time, treasure and talents. Every club has to have a reason for being. What objectives does a club have for which they can rally around so their members and others will gladly join? We devote great efforts towards fundraising but we may not have a clearly articulated strategy for the community-development objectives we are trying to achieve. It is far easier to convince people and businesses to support our efforts when we can clearly point out the benefits we are trying to achieve. It may be difficult to get all our members to join in on all our efforts and activities. It may be beneficial to spend more time determining what our members are most interested in before initiating major projects. Arms-length fundraisers providing check-writing capability may do good things for the community. But do they provide the kind of personal satisfaction for members that we need?